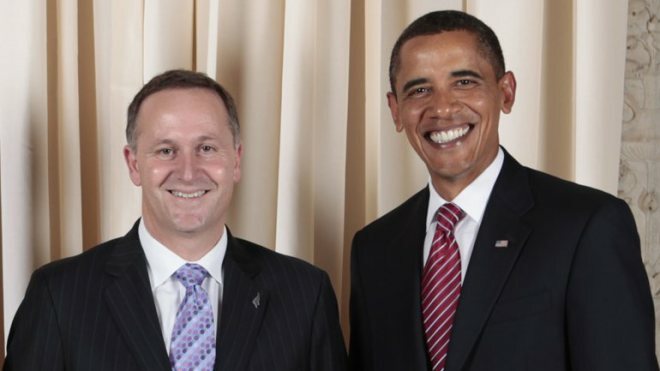 Finally John Key has listened to my colleague Leighton Smith and shown the Americans he’s not a soft-on by sending 100 soldiers to Iraq. I’m not sure if you saw him debate the issue on Tuesday in Parliament but it gave me some serious wood. There’s nothing I find sexier than the PM getting passionate about something particularly if it’s about sending troops somewhere dusty to solve unsolvable problems. Leighton was talking to me the other day and reckons that if the troops have any spare time they could go looking for some missing weapons of mass destruction which he still thinks may exist somewhere in a field perhaps or an abandoned warehouse. Have ever had that lost feeling, where you stop in the mist of a busy day and you wonder where the heck are you going? Yes, I’m going to get my car washed but where am I going in life? This was me a few days ago. Some call it a midlife crisis but because I plan to live longer than 62, I’ll call it a deep day. The days where thoughts seem to have a life of its own and it seems like nothing makes sense. Once I started to ask my self questions like, “What is your target? What are your goals? Are you doing all you can do for humanity?” I start to feel guilty that I could be doing more. The more I thought about it, the more I began to downplay my life purpose. Unearthed in Brazil in 2001, the “Bahia Emerald” is one massive chunk of controversy. At times, no less than eight people and one country have laid claim to a gem that weighs roughly 840 pounds and contains about 180,000 carats of emerald crystals. On Monday, the battle over ownership moved to Los Angeles Superior Court, where a judge began hearing arguments over who should have custody of one of the world’s largest emeralds, known as the “Bahia Emerald” — which by some accounts is said to be worth upwards of $400 million. Once listed on eBay for what once seemed to be a bargain “buy it now” price of $75 million, legal possession of the Bahia has changed hands several times, and the stories of its travels are truly straight out of the latest tinsel-town caper flick. In no particular order, we’re told the emerald has been used as collateral for a cache of diamonds, spent several weeks submerged in water in a New Orleans vault after Hurricane Katrina, was part of an investor scheme, has been in several plots involving the Brazilian Mafia, was involved in a $197,000,000 banking transaction with Bernard Madoff, held in private vaults all over California and Las Vegas, traded among con men, reported stolen to the Los Angeles Police Department and now is in the possession of the Los Angeles Sheriff’s Department. We know two claims already have been dismissed by the court, but the rest of the cast of characters are hoping to plead their case to Los Angeles Superior Court Judge Michael Johnson. The judge says he will hear whether members are the rightful owners of the 840-pound massive raw gem, or does it actually belong to the nation of Brazil, where it was mined and which claims it as a national treasure. Brazil’s emeralds are not world renowned due to the amount of impurities found within them, but this “Bahia” cluster appears to be the exception, and its massive size — photos show nine gigantic crystals, one about as big around as a man’s leg — adds to its luster. The finest emeralds usually are worth more than diamonds because they are more rare and less dense in composition, which means a 1-carat diamond is smaller than a 1-carat emerald. As for the “Bahia Emerald,” while it’s been appraised at $392 million, its story is priceless — and that’s without even knowing the ending. Adam Housley joined Fox News Channel (FNC) in 2001 and currently serves as a Los Angeles-based senior correspondent. © The Spíritree Forest Co.
Death is life’s only inescapable truth, and the significance of its impact often has people trying to create meaning out of it. So it’s no surprise that “green” funerals are gaining ground; in keeping an ecological consciousness in meaning-making, many are turning to alternative ways to commemorate their loved ones’ remains. One concept we’ve seen is the plantable urn, which holds the ashes of someone deceased and will eventually turn into a tree. While we’ve seen commercially unavailable designs, it’s good to come across some that are actually manufactured, like the Spíritree, a biodegradable urn and tree planter made by San Juan, Puerto Rico-based Spíritree Forest Company. A leading Palestinian “resistance” figure has confirmed what many suspected all along: Yasser Arafat died of AIDS. In an interview with Hizballah’s Al-Manar TV earlier this month, Ahmad Jibril, founder and leader of the Damascus-based Popular Front for the Liberation of Palestine-General Command, revealed a shocking conversation he recently had with Palestinian Authority Chairman Mahmoud Abbas and his staff. Jibril, like many Palestinians, readily accepted the notion that Israel had assassinated Arafat, and wanted the Palestinian Authority to conduct an official investigation concluding as much. The response from Abbas’ aides changed in an instant Jibril’s view of his deceased mentor. Arafat eventually died in a Paris hospital after being airlifted out of Ramallah. Many speculated that the Palestinian leader, who was said to have had numerous homosexual relationships, had in fact contracted AIDS.